Thank you for your feedback regarding the recent Update 11.2. We apologize for not offering notice in advance of these changes before they went live. We understand that this wasn’t a good experience and that it also had an impact on some of our esports competitors as well. This wasn’t an acceptable situation all around, and we’ll do better in the future. Update 11.2 brought with it some changes as part of our ongoing, overall goal to make card interactions more intuitive across the board. 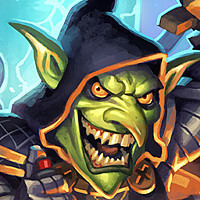 The intention of some of those changes was to align four similar cards (Tess Greymane, Lynessa, Shudderwock, and Yogg-Saron). If you’re familiar with the way that one of these minions works, you should be able to guess how the others work. We added a cap to the maximum number of effects that can be generated by these Battlecries, and made Tess’ Battlecry end if she was destroyed, silenced, or otherwise removed, just like Yogg-Saron. After hearing your feedback to that change, we initially considered offering a full Arcane Dust refund for Tess. 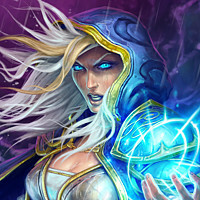 We also read feedback from players who use Tess in their decks asking for her to be reverted to her old functionality. In this case, we agree that it’s worthwhile to sacrifice some consistency so Tess is more fun to play, especially since our priority wasn’t to decrease Tess’ power level. 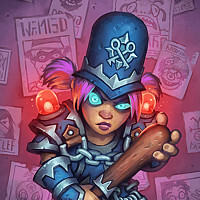 With that in mind, instead of offering an Arcane Dust refund and encouraging players to disenchant the card, we’re reverting one of the changes to Tess Greymane so that her Battlecry will continue even if she’s destroyed, silenced, or otherwise removed from the board. 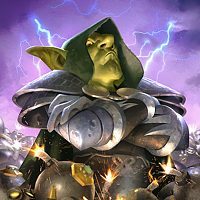 This situation has also raised discussions regarding the definition of a card fix versus a dust-refunding nerf, so we thought this would be a good time to talk about our stance on the subject. We will continue to provide full Arcane Dust refunds for changes to cards that decrease their overall power level for balance purposes — in other words, card nerfs. 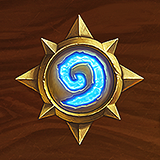 We’re working to improve Hearthstone and make the underlying mechanics more intuitive. 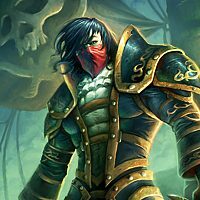 Bug fixes or system-wide mechanics changes to improve the game will not be grounds for a full Arcane Dust refund on a card. System-wide mechanical updates affect many different cards in ways that could make some more or less powerful, such as the interaction between Jungle Giants and Faceless Manipulator. 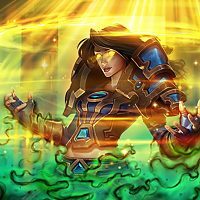 Lynessa Sunsorrow was never intended to apply her buffs in the order they were cast, so the update to her functionality in 11.2 was a bug fix for that card. The cap of 30 effects is a system-wide change intended to protect the service and players from potentially bad play experiences that have minimal player value. 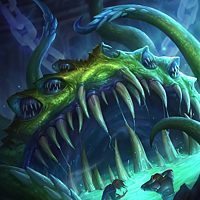 We’re planning to raise the cap of Shudderwock’s Battlecry from 20 to 30 when we implement the fix that reverts Tess, as well. 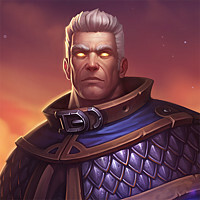 We’re currently planning to revert the change that caused Tess Greymane to stop casting her Battlecry when destroyed, silenced, or otherwise removed on June 8th PDT. We also would like to take this moment to apologize to our player community for this update’s impact on the HCT Tour Stop taking place in Seoul this weekend, specifically the 15 players who brought Quest Druid decks. After considering recent feedback and significant discussion, we felt that Quest Druid decks were most directly affected in terms of viability as a result of the changes that were introduced with Update 11.2. As such, we allowed players that brought Quest Druid an opportunity to resubmit their deck. Balancing the health of the game with the needs and calendar of a global esport like the Hearthstone Championship Tour is always challenging. This wasn’t an acceptable situation all around, for us, our players, and competitors, and we’ll do better in the future. Thanks again for your feedback and your understanding, and we'll see you in the Tavern. Sad about Lynessa but awesome news about Tess, thank you so much for listening. 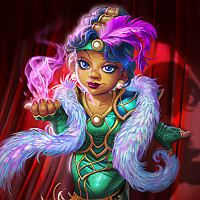 Even though you said you weren't going to refund Lynessa Sunsorrow, I think it would be a good idea to do so because I don't believe there was any notice that she wasn't working as intended and once players saw that her buffs could be applied in order people started crafting her to use in fun meme decks. I don't own her, but even I feel that it would be a tad annoying to have a card you spent a lot of dust on get changed to be significantly worse and not get refunded. Thanks to everyone over there for listening to us and making the situation(s) right. Thanks for this update, Jessie. I wonder if you could speak to the decision to announce the Tess change as a bug fix rather than a nerf. Clearly the dev team was aware that it was a nerf. Trying to slip it in as a bug fix seemed deceptive and dishonest. It's fostered a sense of skepticism regarding the overall honesty of this team among many of your customers. Shedding some light on that decision might help the team regain some level of trust. Update 11.2 brought with it some changes as part of our ongoing, overall goal to make card interactions more intuitive across the board. The kingsbane/kobold interaction change does exactly the opposite. The tooltip for deathrattles is 'does something when it dies' so it seems illogical for that change to be made. How can a DR proc (shuffle the card into deck) if the card was never destroyed in the first place? It would be nice to get some insight as to how this would be considered ''more intuitive'. WE DID IT REDDIT and twitter probably. Now the Quest Druid players gain an edge, after seeing line-ups. Nice. Have everyone re-submit. Competitive fairness and integrity is more important than slight production difficulties. Resubmit one deck or all 4 decks? Good to read, yet is sad that it feels this action is only being taken beacuse this situation affected directly the pro player base. It's clear that when making these changes you changed tech in the background in how they deal with "remembering" cards that were played and their states. Are the 'bugs' where polymorphing/hexing/silencing battlecry minions after played causing Shudderwock to not cast the battlecries intentional? Or should we expect them fixed. For specific card interaction look to HysteriA's latest YouTube video "5 Crazy Bugs from the new Hearthstone patch"
Wow. It is really weird to hear Blizzard admit they screwed up. It's even more weird when they actually REVERT a screwup and not just buff something to OP levels. Seems fair and straightforward. Crisis averted! Whether or not it was the result of a bug fix, Lynessa was clearly nerfed. 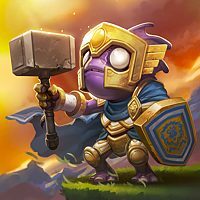 I think a dust refund is due and would be expected if the card were more popular. Apart from that, it's good to see Blizz moving quickly to clean up this mess of a patch. Thanks! Would you ever consider, for the sake of consistency of course, reverting the Yog changes? He went from being THE most entertaining and fun meme card to a bad joke. 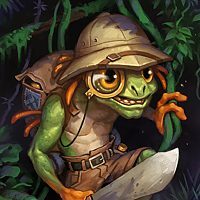 He's in wild now, so let him be WILD!